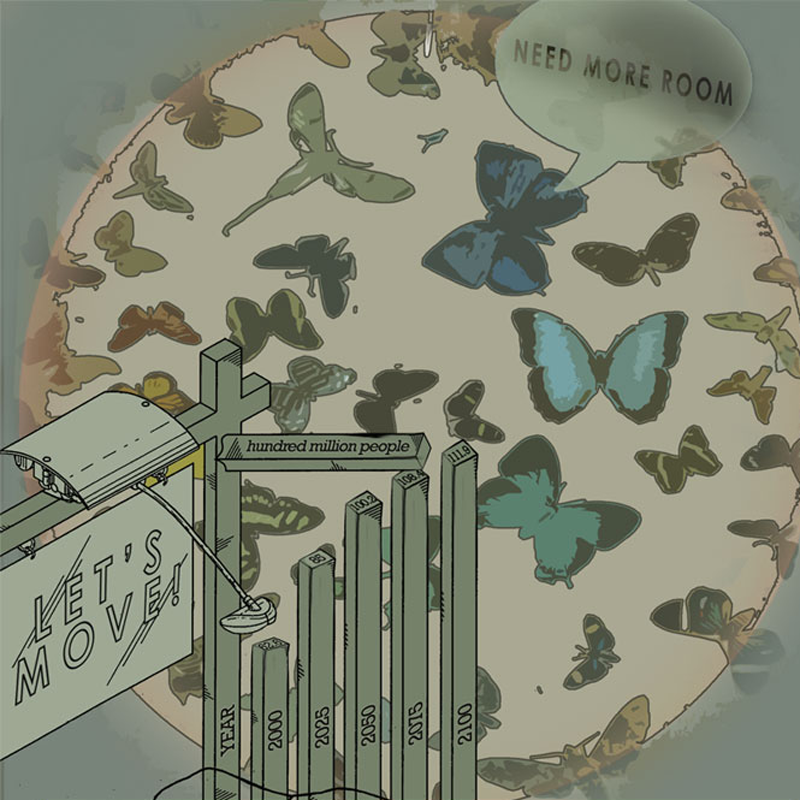 The Let’s Move campaign uses infographics to describe social and environmental conditions leading to The League of Imaginary Scientists’ push to relocate to another planet! 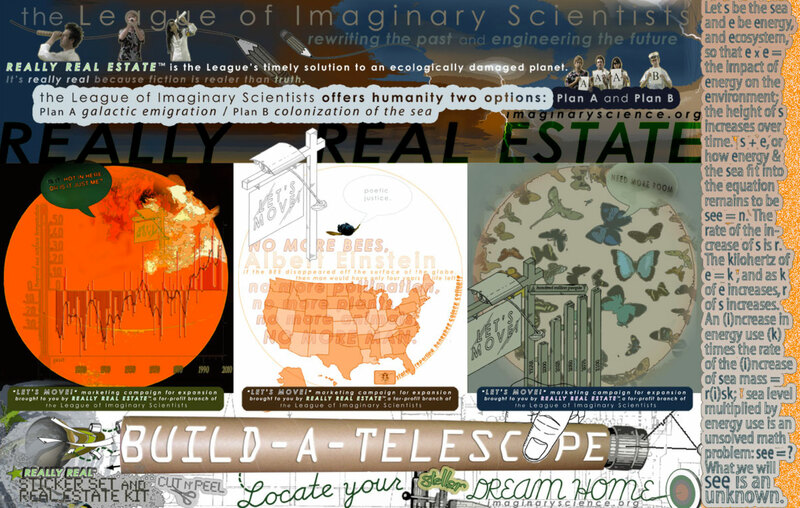 Really Real Estate a real estate venture bioneered by the League of Imaginary Scientists. With stickers, tape, and paper, the League unveils their timely solution to an ecologically damaged and overpopulated planet: a DIY kit for developing outer space and settling the sea. Graphics included in Digital Foundations by Xtine Burrough and Michael Mandiberg, Peachpit: 2008. 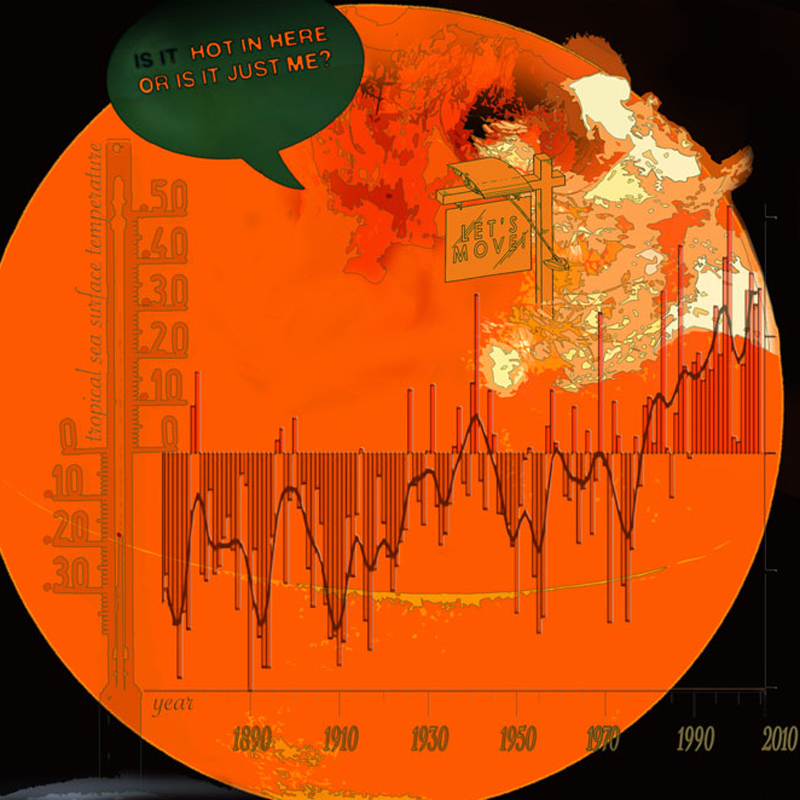 The depiction of disappearing bees and other climate data is part of an infographics campaign by LOIS, printed as stickers, and distributed with a DIY environmental viewing kit by the League of Imaginary Scientists.